Pete Goodliffe: Safari 4 vs a Netgear router: Safari won. It's true, I am am a technical magpie. I can't help but gather shiny new things. To put on my shiny MacBook Pro, Apple recently released a shiny new version of Safari. Most people seem to think Safari 4 is marvelous, when they're not arguing over the position of the tabs (tabs in the title bar, that's heresy!). And indeed, it is. It's quite fast, and the new pretty shiny things it provides are both pretty and shiny. If idiots can't find where they've hidden the "stop" and "reload" buttons, then it serves them right. All good stuff. Sadly, Safari 4 has lead to a networking fiasco chez Goodliffe. After a few minutes of Safari use, my laptop now stops accessing the internet. Well, at least it fails to complete any http or rtsp traffic. Pinging IP addresses works OK, and my VPN connection can be started and stopped (the VPN connection uses a fixed IP address). DNS lookups also fail. Traceroutes work. It's taken me ages to track down the problem. I discovered that my trusty Netgear FWG114P wireless router is a feature-packed network device that can insulate me from networking problems. Including denial of service attacks perpetrated by Safari on my laptop... Safari 4's speedy page fetching provokes the router into thinking it's a hacker's SYN flood. The computer is ceremonially booted from the network for a while as penance. The solution, if you suffer this problem, is to go to the Rules page on the router's web-based admin interface, and disable Block TCP flood and Block UDP flood. Then hope that this is something Apple will fix, and you'll remember to switch the features back on next time. That's a short description of a problem that's taken me ages to track down and sort out. Apples, eh? They Just Work. I've posted the issue on the netgear forum, and the consensus is my MacBookPro has been hacked! Interesting. Not quite the same problem I was having, then. Seems rather unlikely your MPB has been hacked, though, doesn't it? Pete, thank you for the revelation. I'm using PC (Win 7 64 bit) with Safari 4 and Netgear RP614v4 Router. Also having the same "TCP SYN FLOOD" attacks, that were driving me crazy. Until I figured out that the attacks happened at the time I started Safari browser. Your post confirmed my concerns. Online tech support team providing Netgear Router Tehnical Supportone of the best service. This blog is quite informative. Thanks for sharing this relative info. Visit - If you are facing problem with your Netgear Router Support, You can reach Acetecsupport at their Toll Free No +1-800-231-4635 For US/CA. This is the nice blog provides the best services related router technical problems. Excellent work.. Please follow this link ----- Linksys Router Technical Support . A Router is required as it satisfies our requirement for web association. 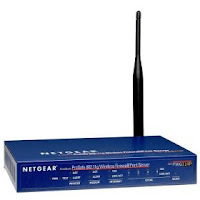 We confront certain specialized issues in Netgear Router. Get your issues settled effectively by approaching +44-800-090-3220 Netgear Router Phone Number UK. with my nextbook I keep getting a Authentication problem. How can I resolve this problem? I use the Netgear Router and I'm saying that have a better Router ever as my own experience. Thanks for the info. I m very pleased to read this article. Thanks for this helpful customer review for Netgear Router because of it really useful for me to get informative knowledge about netgear. This is such a nice for those people who need this kind of amazing blog and I always need this type of informative blog…… if you need any type of technical support for netgear router you visit the website Netgear Support Number UK or contact our toll-free number at 0800-090-3220.